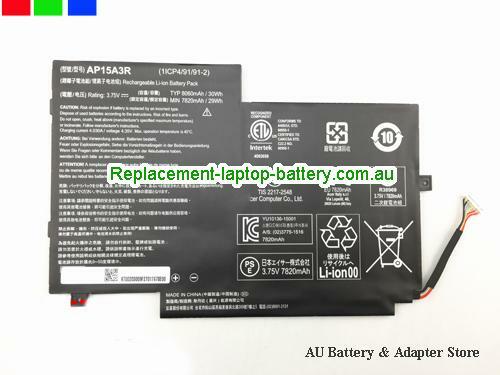 New and high quality ACER AP15A3R Aspireswitch 10E SW3-013P Laptop Battery 30Wh(Li-ion 3.75V 8060mAh, 30Wh ) In Australia. 10ESW3013P, Aspire Switch 10 SW3-013, Aspire switch 10E SW3-013P, Aspire Switch 10E SW3-016-18K8, SW3-013, Switch 10 SW3-013. How can i sure this ACER AP15A3R Aspireswitch 10E SW3-013P Laptop Battery 30Wh is the correct one i need?